Residents of Upper Highway are saying enough is enough. Those living in Hillcrest, Shongweni and surrounds have been battling a noxious odour in the air for more than a year now. They say the severe chemical smell is affecting their families, posing a health risk to them - especially their children. 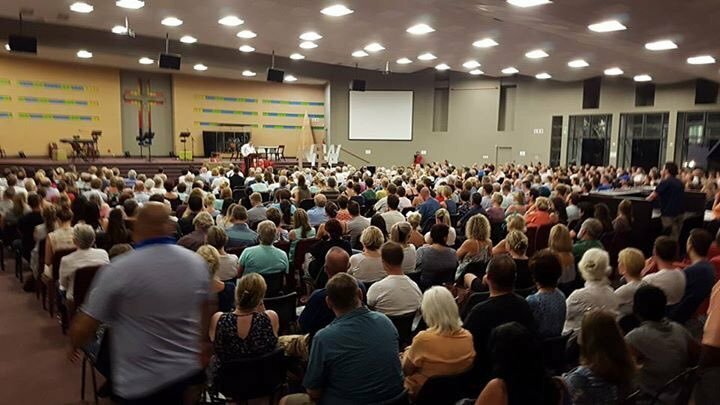 Concerned residents gathered at the St Agnes Church in Kloof on Tuesday night - to discuss how they're going to tackle the problem. A protest march - or 'Toxic Trek' - has been planned for next month. The community is pointing fingers at waste management company EnviroServ's landfill site in Shongweni. Lauren Johnson, from the NPO 'Upper Highway Air', says the smell became an issue in late 2015. "We obviously then went to site to go have a look, and depending on the wind direction - whether it's on the south side or the north side of the landfill you smell the odour - which is identical to what we experience in the Upper Highway area," she said. Johnson says the stench has since grown progressively worse - adding that people are struggling to breathe. In a statement issued to Newswatch, EnviroServ's Dean Thompson says the company is taking the issue very seriously - acknowledging that it is an emotional subject. Thompson says EnviroServ continues to operate a compliant and legal site. He says scientific evidence shows remedial action to reduce their contribution to the odour is succeeding - and that authorities are investigating other contributors.